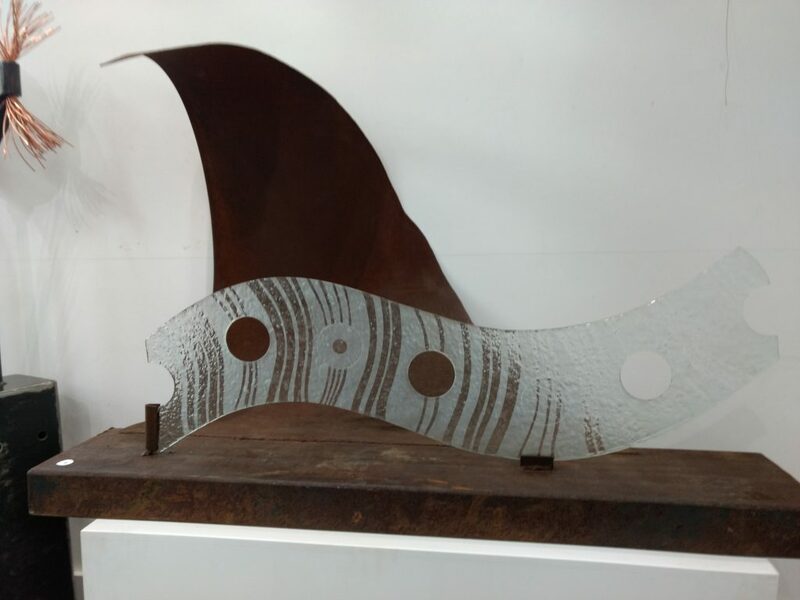 Tim Read is a sculptor from the Bend Of Islands whose passion is working with steel. 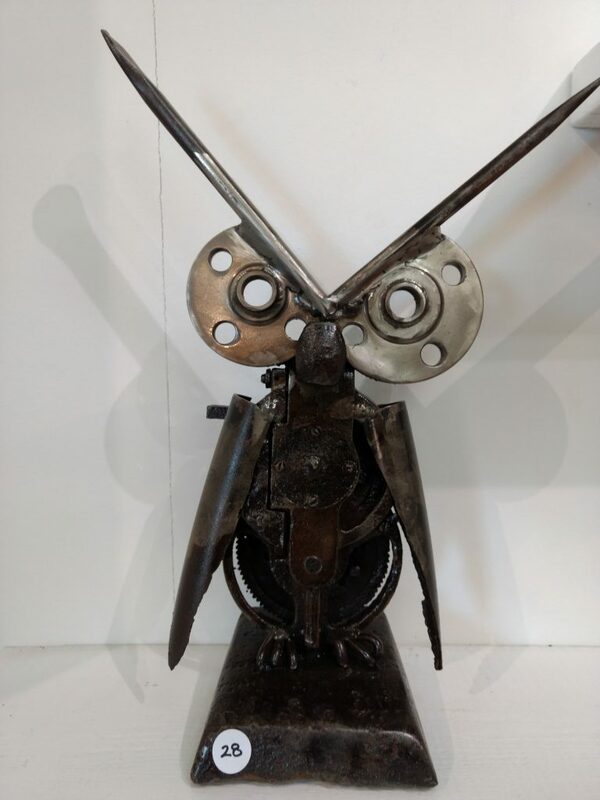 He also likes to collaborate with artists in other media.For this exhibition he will be collaborating with friend and colleague, glass artist Rob Hayley. 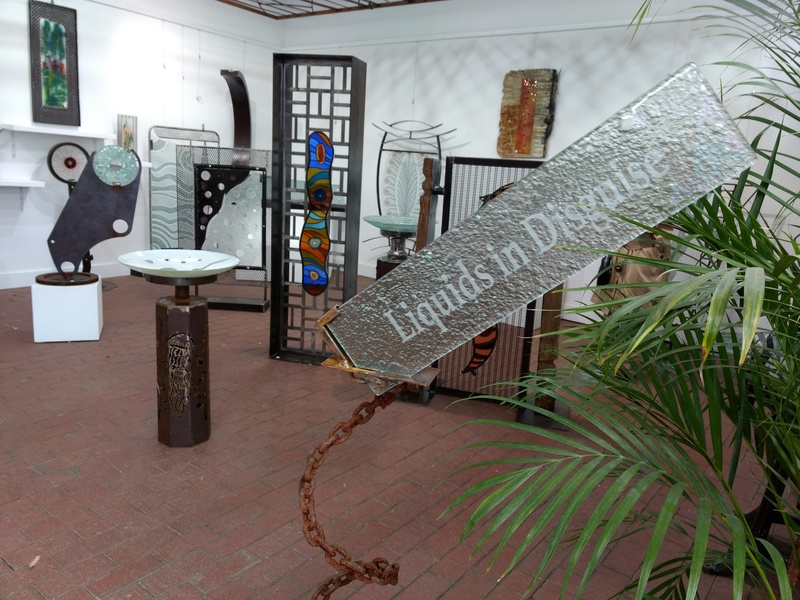 Nearly all the artwork in this exhibition are collaborative – featuring both steel and glass. 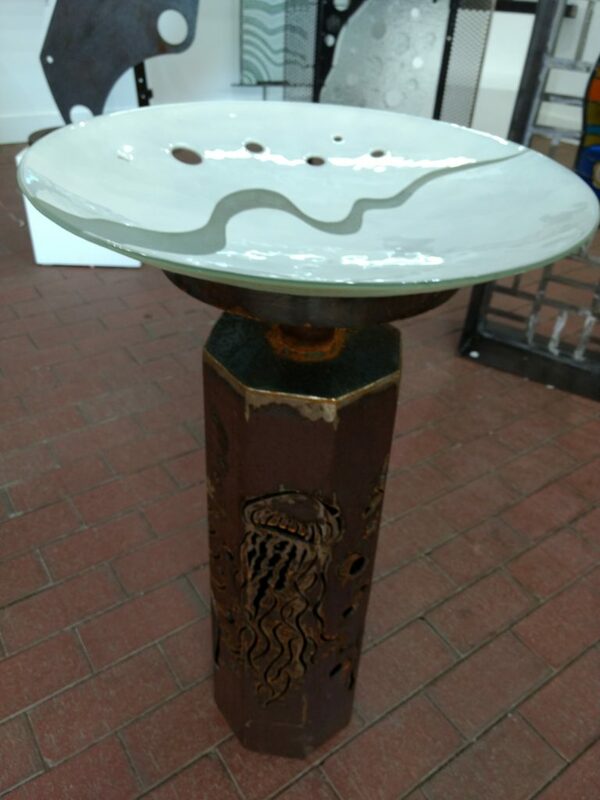 Two and a half years ago, after meeting Rob Hayley through the Nillumbik Artist Open Studio program, I was picking up a glass birdbath from his St Andrews studio. Whilst there Rob picked up a random piece of slumped glass and said “Do you think you could do anything with this Tim”? 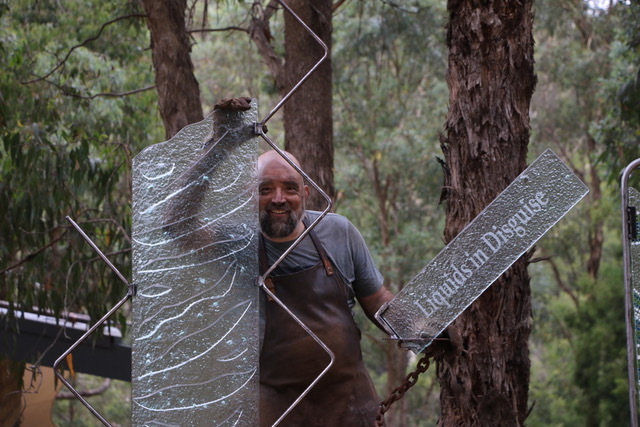 From that came our first collaborative steel and glass piece, ‘The River’. 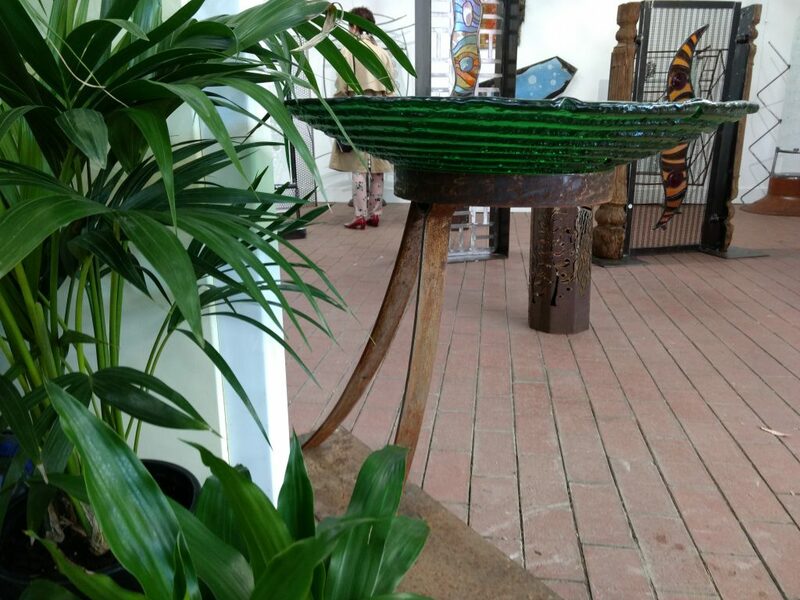 The sculpture was very popular and sold quickly, so we decided it was something we should explore further. Since then we have produced over 80 pieces of artwork. I love working with Rob and his glass. He is enthusiastic, experimental, and super talented. One of the most interesting things about our work is our process. We don’t tell each other what to do. Rob creates his pieces, drops them into the map cabinet in my studio, and says “see what you can do with those Tim”. From there I am free to create in any way I like and its easy to be inspired by Rob’s artwork. My goal in each piece, is to make Rob’s glass shine. I don’t want to over power it, but rather to draw people into it, and see it in the best way possible. 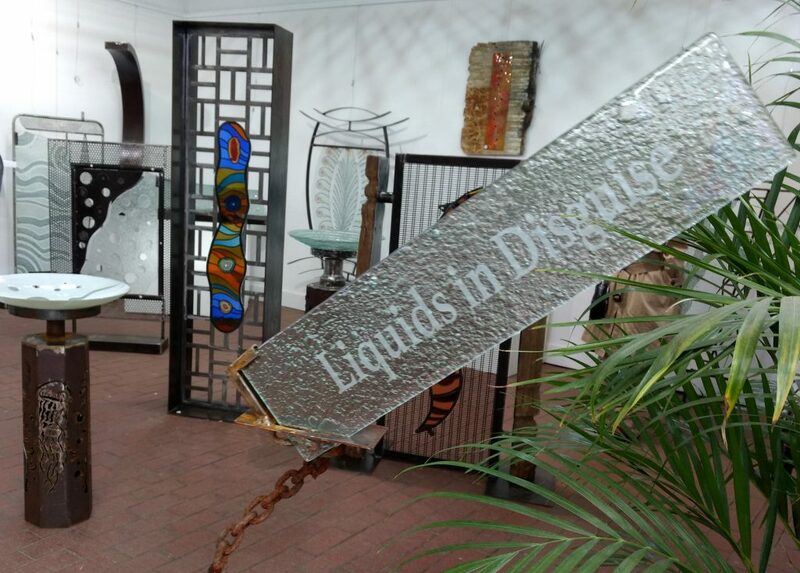 I also to aim to draw attention to the venerability of the glass when it surrounded by hard dark steel. I like that despite their obvious differences, both glass and steel ultimately came from the earth and are liquids in disguise. 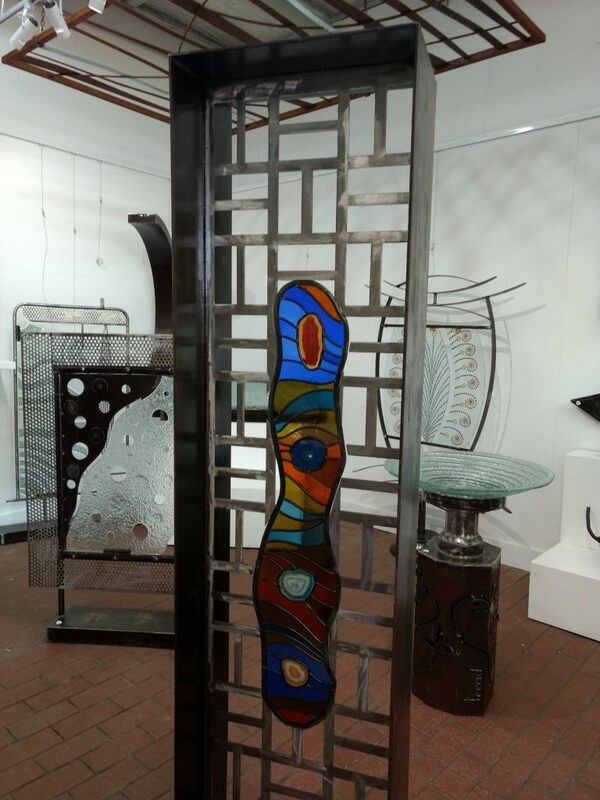 Rob Hayley is fascinated by glass, In the early 1970’s it was the use of leadlight glass in architecture that attracted him. Then in 1995 he resigned as a school teacher to pursue my love of all things glass as a full time occupation. 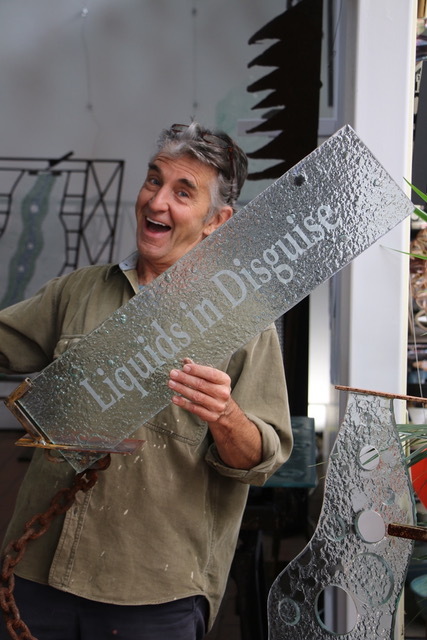 “So far it’s been an interesting journey, but my leadlight & restoration work has lead me to the amazing world of warm glass”. 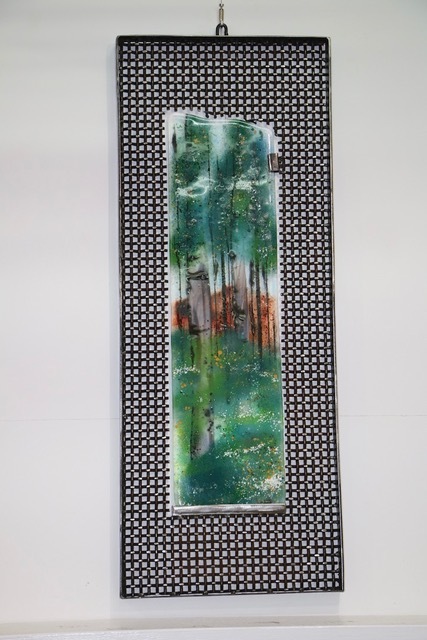 Warm Glass refers to glass fired, made, altered, in a glass kiln,This has inspired me because of the almost limitless possibilities of working in three dimensional glass.